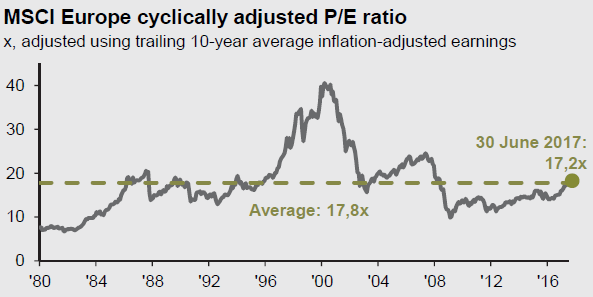 Incorporated updated Shiller PE numbers for MSCI Europe from another JP Morgan report. 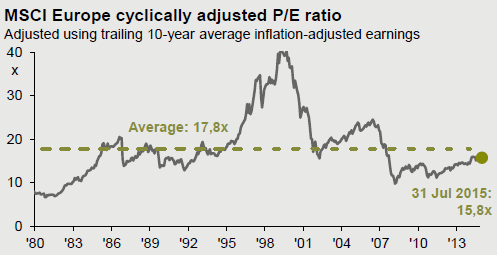 The model has been updated with new numbers from this JP Morgan report. Henderson released a presentation with actual Shiller PE values for various geographic regions. 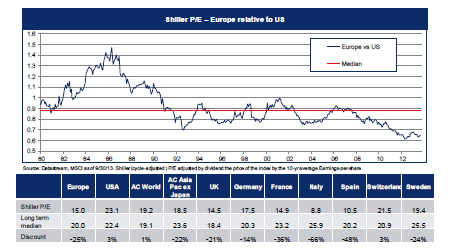 Shiller PE for MSCI Europe is 15.0 per 30 September 2013. 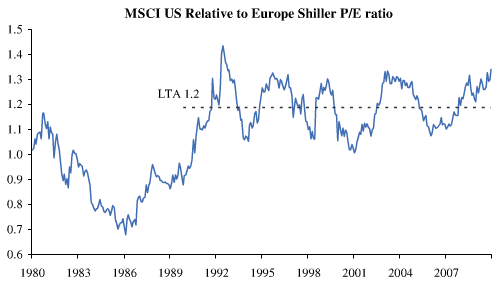 Every now and then this site needs recent data points for Shiller PE for the MSCI Europe index. In the past these could be taken from research and market reports. Therefore, if you have access to some recent ShillerPE (a.k.a. 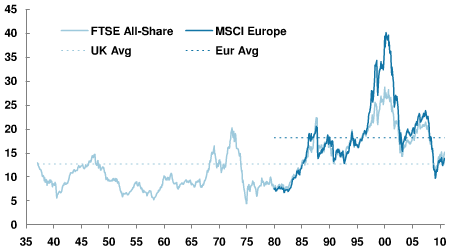 CAPE) for MSCI Europe data points then please share those. Contact us at info @ the-domain-name-of-this-website. The backend code has been updated to deal with Euronext website changes. Charts are updated again. 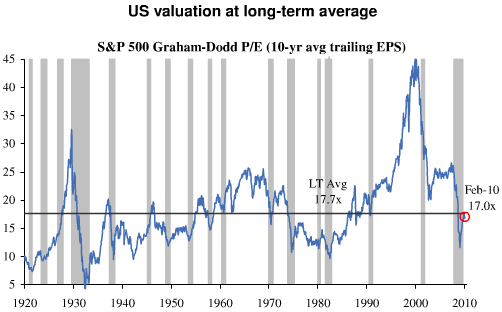 Note that the value of 17.0x deviates significantly from the data from Robert Shiller, which is at a CAPE value of around 20x for Feb/Mar 2010.